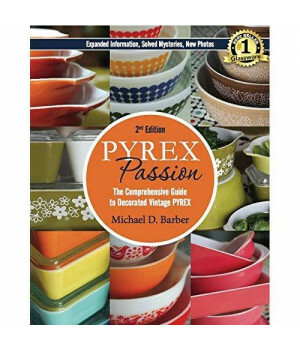 Discover the Beauty of Vintage Opal Pyrex in the all-new 2nd edition of Pyrex Passion! All-new photos, updated info, new cradle reference, and over 30 additional pages! 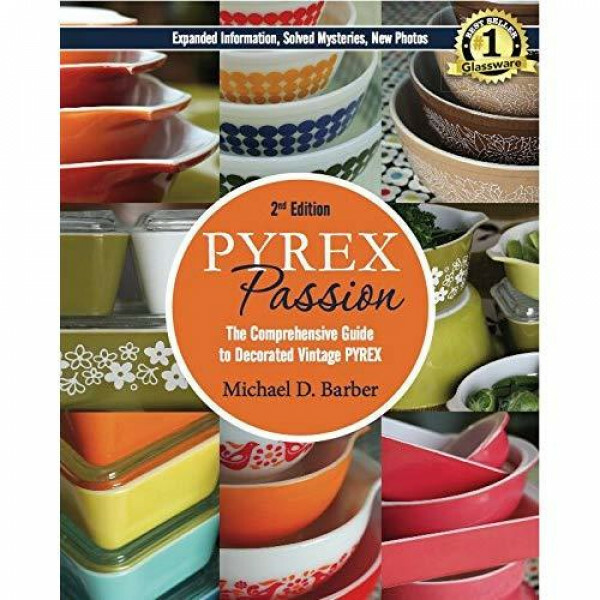 Pyrex collectors are always looking for the most accurate and comprehensive information about opal Pyrex produced from the 1940s through 1980s. The 2nd edition of Pyrex Passion won't disappoint! In addition to new photos, advertisements, and catalog images, this edition includes dates of production for patterns as well as individual items and sets. The standard pattern section has expanded information on plain opal and opal with gold trim items in addition to newly discovered dates of production and distribution methods for Pink and Orange Butterprint, Homestead Brown, and the alternate versions of Verdé and Town and Country. The promotional pattern section has greatly expanded information including exact dates of production for 15 items previously estimated and new photos that include original cradles for each item. This edition also includes an updated pattern reference, value guide, new cradle reference, index, and history by item. Get your copy of the 2nd edition - the one with orange cover - today!